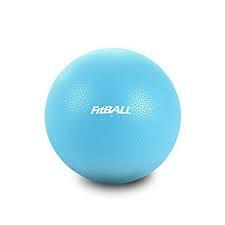 The Cushy Air Body Balls are strong, light, easy to grasp and have a large inflation range. 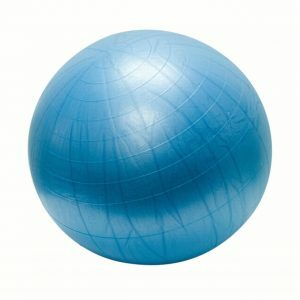 Although lighter and more pliable than regular vinyl balls, Slo-Mo body balls support the weight of the largest child. The textured surface makes the ball easy to hold. Strong enough to use for balance activities. 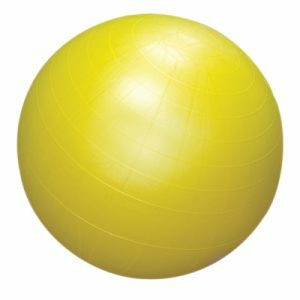 Balls will support up to 300 lbs. 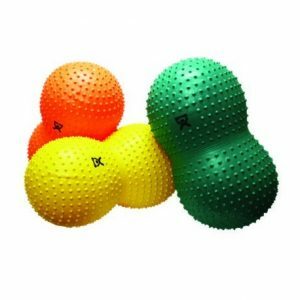 These Cushy Air Body Training Balls are used to improve balance, coordination, flexibility, strength or simply just for fun. 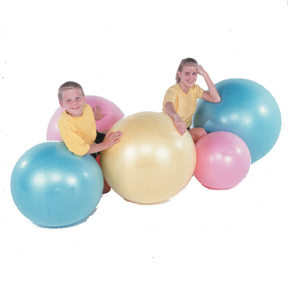 Balls are used by pediatric and NDT therapists as an aid for vestibular movement and equilibrium therapy, by fitness professionals as an aid for stretching and strength programs, by pregnant women in birthing classes and people with back problems.